The Agent of choice in Beaulieu Park since 2007 for Sales, Lettings & Property Management. 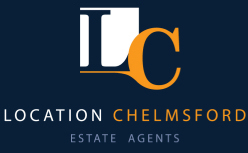 At Location Chelmsford our professional sales team have sold property in excess of 100 properties on Beaulieu Park with a value in excess of £35million pounds. We are on “Beaulieu” on a daily basis, so why not call us for a chat about selling your property, growing your portfolio or a free valuation. A significant number of the properties we sell on Beaulieu Park are offered via our discreet marketing service. To find out a little more about this service contact one of the directors for a meeting.